Business Leader. Author. Motivational Speaker. Behind the fancy job titles, the awards, the TV appearances, and the $1 billion-dollar-business that her company’s service brands do each year, Dina Dwyer-Owens equates her success to having a living by a proven Code of Values©. Her first book Live RICH: How to build success in your company and your life with a proven Code of Values has connected with thousands of readers by offering a simple message that in a world of constant change, values can be ever-present. Now in Values, Inc., named one of the Top Ten Business Books from 2015 by Forbes, Dina aims to help inspire more hope for the future by taking the spotlight and shining it on those doing the things she loves to cheer about: living and leading with integrity. Change will never happen until we put our thoughts into action. Book Dina Dwyer-Owens as your next Motivational Speaker. Universal guidelines to which we strive to adhere, from the bottom of the organization to the top. Dina Dwyer-Owens Read Values, Inc. and apply the values. You and your organization will be a lot better for it. Dina Dwyer-Owens Dina Dwyer-Owens makes it clear in Values, Inc. that leading a life guided by high values and principles will result in personal success, societal progress. Benjamin S. Carson, Sr., M.D. Dina Dwyer-Owens Most people conclude having values is not profitable. But the complete opposite is true ... as you are about to discover! Dina Dwyer-Owens Your company won’t be just inspired, they will be transformed. Dina Dwyer-Owens Live R.I.C.H. is yet another example of how this company stays razor sharp. Dina Dwyer-Owens Very inspired - I’m extremely grateful to Dina for opening my eyes. 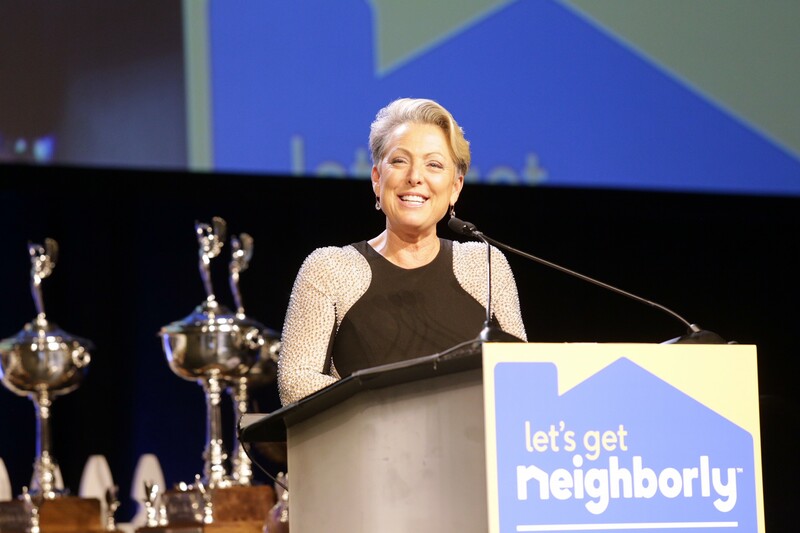 For more than 30 years, Neighborly has been providing comprehensive service to our customers and franchise owners without compromise. It is this commitment to excellence and integrity that has enabled us to lead the service industry on a world-class level. Our family of service-based franchise companies reaches millions of customers annually, providing a diverse array of specialty services through our network of more than 2,800 franchisees. RICH: the key to an unshakeable corporate Code of Values®. Live RICH is a tribute to Neighborly, a holding company of multiple franchise businesses, and their Code of Values, which centers around the themes of Respect, Integrity, Customer focus and Having fun. Discover how you can Live RICH and grow your company. With the success of Live RICH, Dina found a deep recurring theme among the companies she worked with and delivers them in this new exciting book, Values, Inc. to assist others seeking the harmony of living a life with values and reaching their dreams. Get Values, Inc. now, and start your journey to something better.